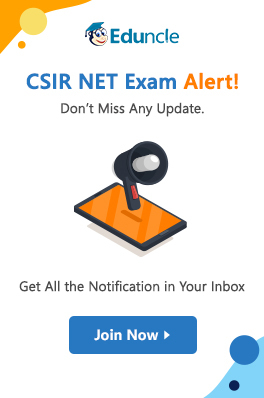 CSIR has released the CSIR NET Dec 2018 Answer Keys on 16th January 2019. The candidates who appeared in the exam must be eagerly waiting to check the official answer keys as it gives them a clear idea about their scores and winning chances. On 16th January 2019, while most of the students were satisfied with the officially released CSIR NET Answer Keys, there were many students who got disappointed seeing the answers. To provide every student an equal chance to bag success, CSIR, for the first time in the history, provided students a chance to raise their voice & challenge the official answer keys. If you’re one of those students who think that the CSIR NET 2018 Answer Keys released by official site is not appropriate and can be improvised, do read the blog to know the procedure of answer key challenge & raise your objection. 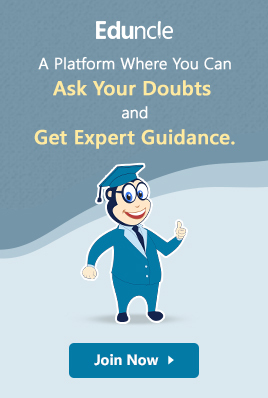 Need Experts Help for CSIR NET Exam? Get the Free Counselling on Call from Eduncle Experts. Sign Up to Receive a Call. How to Challenge the CSIR NET 2018 Answer Key? Follow the Instructions! The Council of Scientific & Industrial Research set some guidelines for the aspirants. These instructions or guidelines need to be followed for sending representation/grievance against CSIR NET Answer Keys. Candidates may send representation in prescribed formats given by CSIR like Word, PDF, and Image as an email attachment. In a single mail only one question can be attached for objection. For different questions, separate e-mail should be sent. The grievance/objection must be supported only with the relevant portion of the books/ findings to be attached together with the email. Candidates should refrain from frivolous e-mailing. The representation will be summarily rejected if it will be received in any other format than the prescribed one. Candidates can find the prescribed format on the official website from 16th January 2019 to 23rd January 2019. Aspirants have to mention their details in an understandable manner on format correctly. Candidates are advised not to send multiple emails for the same question. The grievance shall not be entertained if it will be received by any other mode except the Email. The representation sent to any other email address than the prescribed e-mail address shall not be entertained. Telephonic queries shall not be allowed. No email requesting representation status shall be answered. Remember, submitting the representation will not provide you the surety for the increase or award of marks. Those who have any objection related to answers can follow these instructions and send their grievances to the exam authorities. Do you wish to give CSIR NET another attempt? Start Learning from Eduncle's Study Material Designed by the Subject Experts. 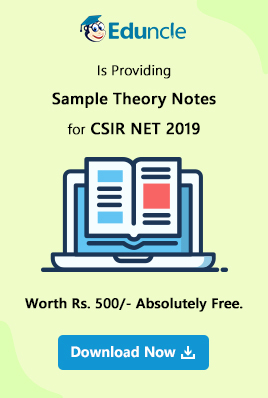 Click Here to Download Sample Theory, Notes, Model Paper, Previous Papers, Study Plan, Syllabus, all for FREE. Hope this blog would help you to get enough knowledge about how to raise an objection against CSIR NET Answer Key. Still, if anyone of you has any queries regarding the process that we shared above, please drop them in the comments box below or sign up here to receive a call from our counselors.